“A vocal that doesn’t have some level of electronic manipulation in it somehow doesn’t feel like it belongs in electronic music. You have to do something... Electronic production is all about using technology to create sound. If you haven’t used the technology, it feels like you’ve got an acoustic session vocal guesting in the middle of an electronic track. It doesn’t feel like it belongs there.” So says Hal Ritson, the multi–talented songwriter, producer and multi–instrumentalist who has spent the last 15 years making the world of electronic music a more interesting place. From his original releases, mash–ups and remixes as half of the Young Punx, to the exacting sample replays he’s created for some of the biggest dance and urban artists as Replay Heaven, Ritson combines acoustic and electronic elements with considerable flair and imagination, not so much straddling the divide as completely obliterating it. In recent years, he has provided additional production to a range of electronic artists, including deep-house DJ and producer Duke Dumont. 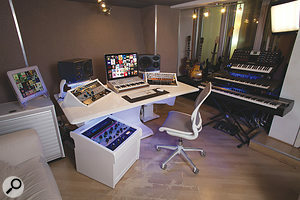 Hal Ritson’s studio — in the old Stock, Aitken & Waterman studios in London — with outboard and software both in easy reach courtesy of Ritson’s Zaor studio furniture.“I work with quite a lot of electronic producers this way, where they’re in charge of the overall aesthetic and they are hands–on in control of the electronic elements but I will, under their aesthetic guidance, sort out the acoustic elements,” he explains. “Can you put a brass section on it? Can you put a gospel choir on it? That kind of thing. But it goes beyond a pure engineering role, because I’m making some creative decisions about how the end result should be. 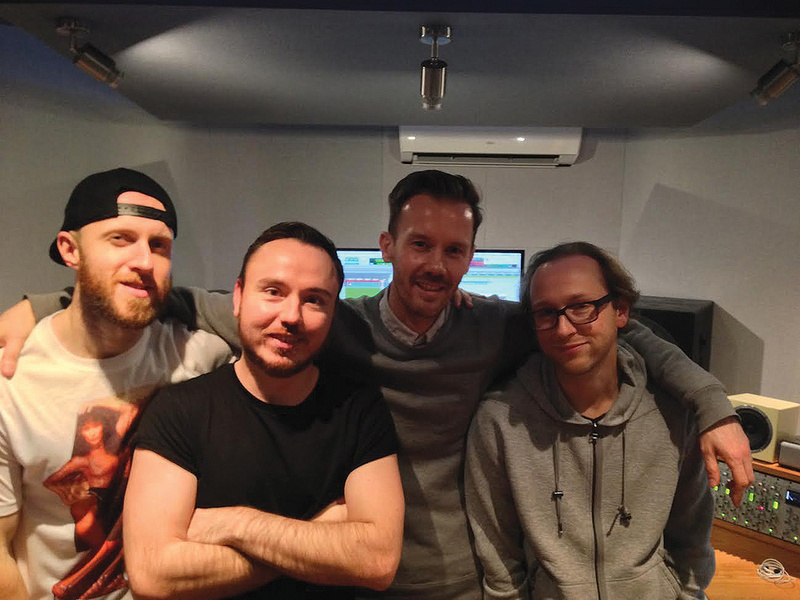 Here, Ritson explains how he approaches vocal recording and production for deep house, including a track–by–track dissection of Duke Dumont’s Blasé Boys Club Part 1 EP. In the UK, the past year’s dance–music charts have been dominated by deep house. While genre labels are always divisive, nowhere more so than in the fractious, tribal world of electronic music, deep house can be broadly understood as a more lush and soulful take on house music, that enduringly popular, four–to–the–floor club staple. With self–consciously retro drum and synth sounds and expressive, soul and R&B–inflected vocals, deep house harks back to the early 1990s, when house music first took hold of the UK charts. For Hal Ritson, the ascent of the genre can be understood as a reaction against EDM. “House music has its roots in the USA nearly 30 years ago in the warehouse/rave scene of the late ‘80s and early ‘90s,” he explains. “Even though it’s a US–born medium, it has almost never had any chart success in the States. It was very much limited to, for a lot of the time, black gay clubs. You could have country and R&B in the top 10, but you’d never have a house track in the charts. Meanwhile in the UK, from the early days of acid house onwards, we’ve had number ones that are house music. So in the UK, and in Europe, we feel this sort of ownership of house music. “What happened in the latter half of the ‘00s was the Americans finally got their head around house music. Rock music was kind of burnt out — nothing new has happened in rock music for years — and electronic music was suddenly the mainstream thing in the States. The Americans did what the Americans do really well, which is to make something bigger, brasher, more aggressive. Basically, commercialise it and make huge amounts of money. Their take on electronic music — US dubstep and what became known as EDM — became the new rock & roll for the youth of America. “Every action has an equal and opposite reaction, and from the perspective of a lot of UK producers, the American scene had taken what they’d been working on for many years and made it mainstream, but had created something which was very brutal, lowest–common–denominator and trashy sounding. It was the height of the loudness wars and everything was just very overblown, and there was no sense of roots and heritage in there. The vocal sound featured prominently in deep house is in equally stark contrast to the dominant State–side brand of electronic music. According to Ritson, its peculiarities are down to a curious combination of taste, technology and necessity. “The EDM vocal sound was a very over–produced, commercial kind of sound,” Ritson says. “If you listen to a lot of Swedish House Mafia or Avicii records, you’d expect to hear a male power pop/rock lead vocal. Or a sort of white pop girl vocal, very tuned, compressed and saturated. That’s what connects with US radio. The methodology was, let’s take these house beats but then let’s put what we know works on the radio on top — the broadest Middle America kind of sound. The deep–house vocal sound is a return to black culture as the source of the singing style. So rather than a rock or pop genesis, it’s coming out of soul and R&B. “The thing is, the resurgence of deep house was led by bedroom producers, and bedroom producers often don’t have access to any recording facilities for vocals. To get this more soulful, more sensitive approach to vocals when you’re working on a bedroom laptop, people started going back to the a cappellas of classic soul and R&B vocalists. What’s interesting is, with most tracks you can’t get the a cappella, so the sound has been very much dominated by the specific vocalists for whom a cappellas are available. While this select handful of prized a cappellas recorded by soul–vocal royalty provide the raw material for the deep–house vocal sound, that’s far from the end of the story. Ritson explains that three key processing techniques, each totally dependent on modern technology, are required to reach the end result. “The first is cutting up these old a cappellas and rearranging the phrases,” he says. “That can just be the classic thing from house music, which is to take a line from the chorus, loop it and that’s your new chorus. But it’s gone a lot deeper now with people taking older a cappellas, cutting up the words and rearranging them into different orders. Maybe one of the earliest examples of this was Chris Malinchak’s ‘So Good To Me’, where it was a Marvin Gaye vocal originally (though it’s a re–played vocal in the final version) that’s cut up and rearranged to make what is effectively a new song. “The two other really important techniques involve messing very aggressively with the pitch and speed of the vocals. Obviously, we’ve been able to manipulate pitch and tempo in DAWs for some years now, but it’s only recently that we’ve had such direct access to a variety of really sophisticated tools. If you’re using Logic, for example, you can put everything on Flex Time, and you’ve got various re–pitching tools and different algorithms to choose from. We’ve become totally free to move the pitch and speed of everything around independently. “When you’re sampling what were originally soul or R&B ballads — so maybe 90 to 110 bpm, and sung very romantically and gently — and then putting them into up–beat house records at 120 to 125 bpm, it creates a very interesting energy in the music that you’ve never had before. 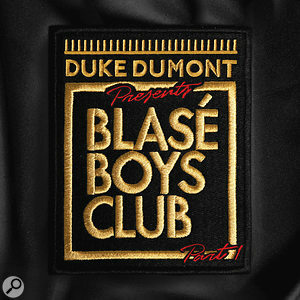 A good example is ‘I Got U’ by Duke Dumont. That was originally a Whitney Houston vocal, though I did a re–record for the final version. You get a song that’s quite pacey, but if you actually sang it at that speed it would sound too cluttered and aggressive. “At the same time, the vocals are often being put into a different pitch from where they were originally sung. The classic deep–house trick is to pitch down a female vocal about three steps to make a vocal of what you might call ‘indeterminate gender’! 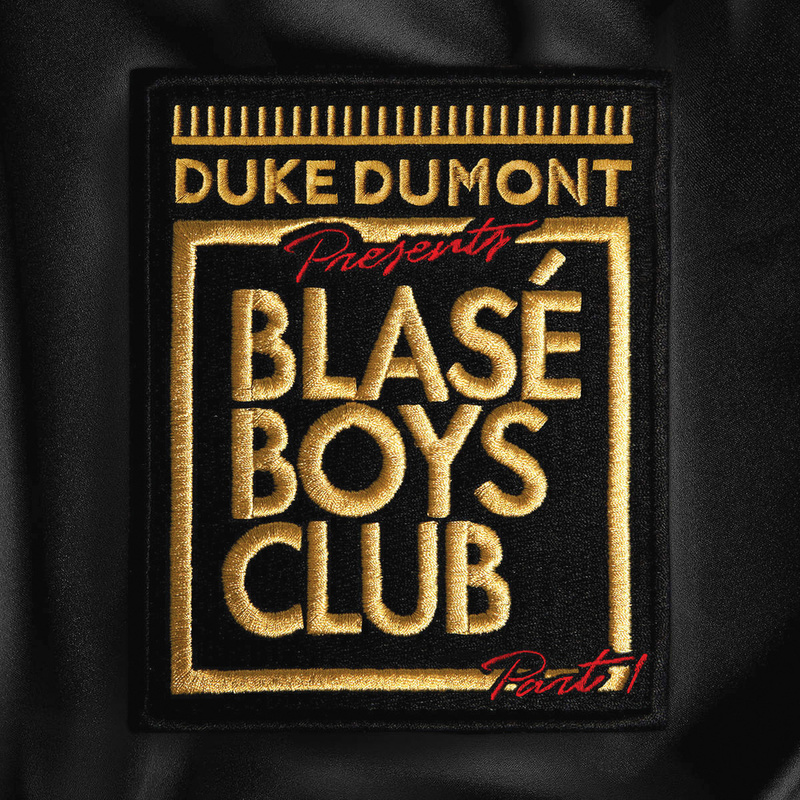 A classic example is the Duke Dumont track ‘The Giver’ which sounds kind of like a guy singing but kind of not. It’s a pitched–down female vocal, and that creates a slightly more soulful, large–bodied kind of sound. “This is a relatively recent thing. If you look at maybe around 2003 — let’s call it the ‘Call On Me’ era [after the chart–topping Eric Prydz track] — people were sampling and speeding up ‘70s disco or ‘80s pop, but because we had less freedom in the algorithms at that time, the speed and pitch would go in the same direction. So typically, when a 110bpm song is ending up in a 128bpm house track, the vocals get pitched up at the same time and end up kind of squeaky. But the typical deep house vocal has been sped up but pitched down, and that’s something new. “But the key thing with all of this is, if you look at an EDM or just mainstream pop vocal, it’s a very processed sound — very excited, very multi–banded, very driven, very tuned. Whereas with the deep–house sound, the original vocal performance is very naturalistic. You have to have a great singer in the first place to do it. As you speed the vocals up, you start to get vocals that are impossible to actually perform. If you take a little R&B vocal lick, where the singer is doing something very ornate at 90bpm, and put it at 120bpm, you actually physically can’t sing it. But it doesn’t really sound unnatural to listen to. You create a performance that is simultaneously organic and artificial. However, before recording can begin, a bit of mental arithmetic is required, as Ritson explains: “If you know you’re going to change the pitch and speed of the vocal you’re recording, it means you need to record it at a different pitch and speed from the track you’ll use it in. This is an absolutely normal process for me. I’ll get a backing track in from a producer and it’s in a certain key and it’s at 124bpm, say. So I’ll probably slow the backing track down to 95bpm and pitch it up by two or three semitones. Waves SoundShifter is my shifter of choice, but the Logic one is fine and Ableton does it naturally. And then that’s what we sing to — a slower, higher track. While pitched–down vocals are closely associated with deep house, Ritson believes these techniques can also be useful in a wider context. “Right now, the whole pitched–down vocal sound is probably becoming a little bit hackneyed because there have been quite a few hits using that kind of sound,” he says. “But as with everything, you don’t have to use it as an extreme thing. When you get a singer in and you think it would be nice if they sounded a little bit younger, you can record a little bit lower and then pitch it back up. Or maybe you’ve got a female singer who’s quite thin but you want to hear a bit more body and chest for that big diva kind of sound. In that case we’ll record a little bit higher then pitch it down. It could be as little as 70 cents, but it means that you’ve got more control over the sound of the vocalist — you don’t just have to use the sound of the vocalist as they’re given to you. Ritson has also explored ways to bring other aspects of the style’s sample–based roots into the recording of new, live vocals. “If you were sampling and cutting up an old 1960s a cappella, it’s probably going to have a five–second EMT plate reverb on it,” he explains. “So if you sample a phrase, you’re going to get the reverb tail of the previous sentence hanging over it, which in theory should be problem, but of course it all adds character and colour. If you take one word, you’re getting one note, but it’s actually a kind of chord because there’s the reverb of the note before stuck on top of it. That’s part of the texture and flavour. It’s easy to see how Ritson’s experience in sample recreation feeds into his approach to deep–house vocal production. His philosophy is that, if you want to record a new vocal that feels like it fits in a genre dominated by vocal samples from older records, you need to follow what he calls “the logic of the way that music was originally created”. You create new samples, essentially, and that includes all the different processes that have occurred after the vocal itself was recorded. “The average sampled vocal in a deep–house track has these multiple layers of history,” he explains. “Yes, it was recorded in a particular way, with a particular aesthetic, but then it was put on vinyl, then somebody sampled it off the vinyl, then maybe that went onto a house record and you sampled it off that Each time there’s a process. People often take samples from YouTube, you know! Each time these things happen, there’s another layer of compression, of EQ change, of smearing out the transients. All these layers of history come in. “What I’ll often do is have everything to do with the vocal going onto a separate mix bus and treat it like a vintage mastering strip. I’ll have the vocal but I might also have, for example, vinyl crackle and hum, or maybe some fake bleed coming through from a drum track, like you get on a lot of these a cappellas — you can hear the piano coming through from the other room in a Motown recording, that sort of thing. Then there might be an EMT reverb, tape emulation and maybe a Fairchild–type master compressor on it, always with PSP Vintage Warmer on the end being used as a saturating limiter. “Sometimes I’ll put a gate on the vocal mix–bus, so there’s quite a loud reverb while the vocalist is singing and the moment that the phrase ends the reverb stops dead, like it’s a phrase that’s been cut out. But then that vocal mix bus can have another layer of delay and reverb afterwards, maybe one which sounds more modern. That sort of smears out the abrupt cut. So you’ve got a vintage level of processing — which is the ‘sample’ — and then the modern production on top. While Ritson suggests that, in normal circumstances, most mic preamps sound similar, he routinely chooses different preamps for the character they impart when ‘driven’. Among the units pictured here are his Chandler Abbey Road Series REDD 47 preamp, an Avalon VT–737SP, a rack-mounted SSL E-series channel strip, and a Universal Audio LA–610 MkII. 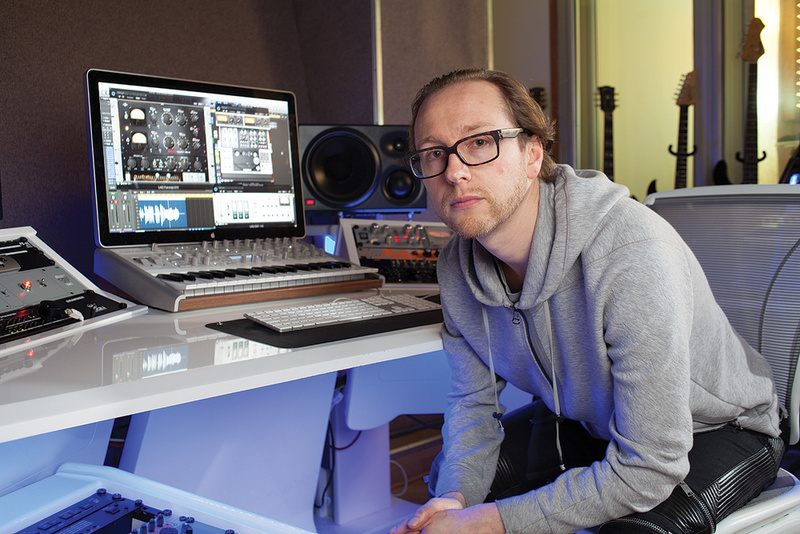 Although Ritson makes extensive use of plug–ins while working in Logic, he’s a passionate advocate for hardware. “Once my audio is in the box, I need it to stay in the box,” he says of his working method. “But that’s really for practical purposes because I need to be toggling between three different tracks in the course of a day, taking a project between this studio and my home studio, going back to something I did a year ago and so on. However, on the way into the box, I’m increasingly inclined to the think that you just can’t beat the real outboard. I spent many years saying, ‘Well, the plug–ins get you 90 percent of the way there.’ But now I’m operating in that final 10 percent. I’m trying to make it as good as humanly possible. 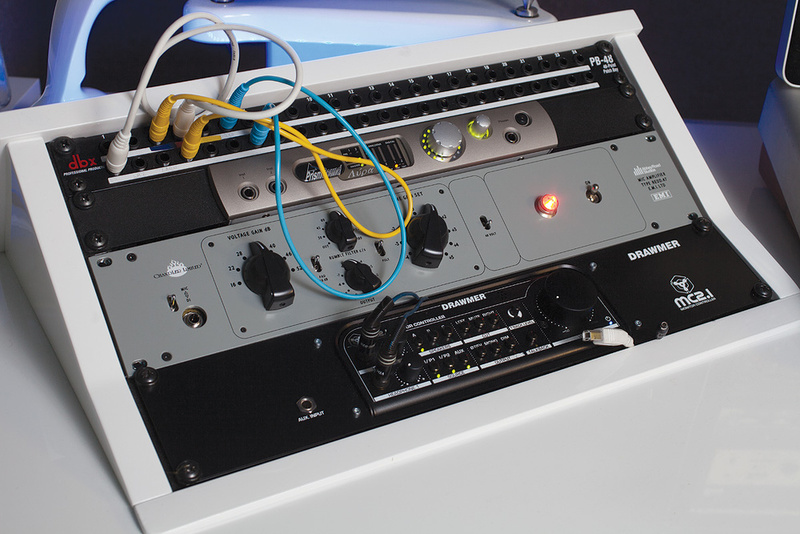 “For example, I’ve got an SSL E–series channel strip that was racked up by Funky Junk. 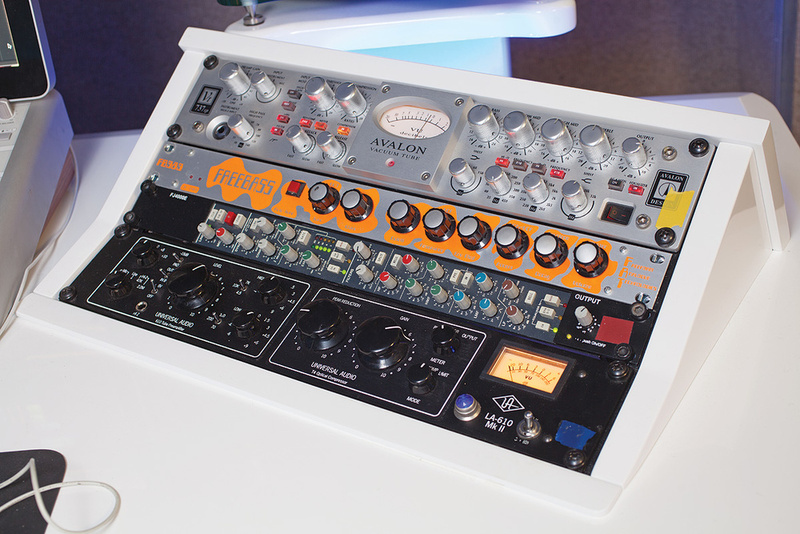 I’ve tried five different E–series EQ plug–ins; none of them bring that sense of excitement. It’s totally indefinable. When you compare a plug–in to the real thing, they almost sound the same, but the presence and energy is never quite the same. Everyone can make music now. Everyone can release it now, which means there’s so much product out there. And it’s all pretty decently made. So to cut a swathe through that as artists and producers you really have to step up and say, ‘Just being pretty good isn’t good enough.’ You need that last 10 percent of, ‘Oh wow, that really sounds good’! “When I capture the vocals I’m becoming increasingly obsessive about preamps. I’ve got different preamps for different decades. I’ve got the Chandler Abbey Road Series REDD 47, which gives me a sort of crunchy ‘60s sound. Then there’s the Universal Audio LA–610, which is my go–to general preamp and has a very usable but very classic kind of sound. For a ’70s transistor–y kind of sound there’s a Chandler TG2, then the SSL E–series channel strip if I’m doing something with an ‘80s transistor–y kind of sound, with a lot of presence. Then an Avalon VT–737SP which I use for a slick ’90s R&B kind of sound. All of them sound pretty much the same if you’ve got very sensible gain structure. However, as you start to push them, they start to inject a lot of character. “So it becomes a very delicate process. For example, if you’re recording on something like this Chandler REDD 47, you want it to be just breaking up, to get the colour as it starts to saturate and the harmonics that give it character. But you find, with these very soulful vocal deliveries, you can have a very quiet word and a very loud word in the same phrase and I find I’m often quite actively involved in the recording, physically changing the gain staging through a sentence. “So I’ve become a bit of a preamp nerd! It’s one of those things where if you A/B individual elements you almost can’t spot the difference, but if you do enough of those incremental changes over the course of a project, you end up with a record where everyone says, ‘Wow, that sounds great — how do you get it sounding like that?’ And the answer is, very many small steps and a lot of attention to detail! 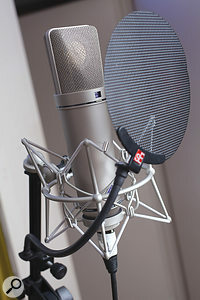 Ritson stresses the need for high–quality mics, but often uses one of two for his vocal recordings: a modern Flea Microphones recreation of a Neumann U47 valve mic, and a Neumann U87. While Ritson might be big on preamp selection, his mic preferences are relatively straightforward — if no less refined. “I have two go–to mics for general use, which are the U87 and U47,” he says. “If there’s a specific sound I want I’ll use other things, but that’s my day–to–day working. I’ve got a Neumann U87 and the U47 is the Flea Microphones recreation, which seems pretty good. The way I tend to think of them is the 87 is a CD and the 47 is tape and vinyl. 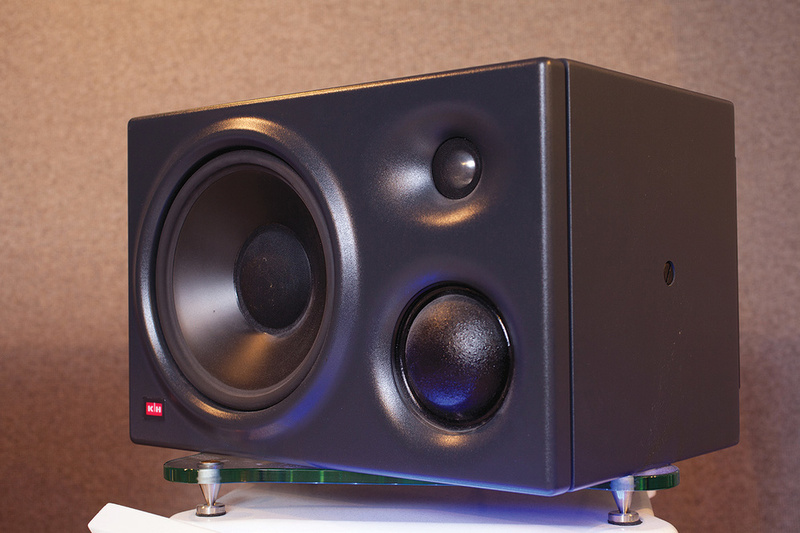 So if I want a very glossy, polished kind of sound, I go for the 87. If I want something that’s more warm and rounded, I go for the 47. Ritson’s technique of setting up a vintage vocal bus means that the long chains of plug–ins involved can be tweaked throughout the mixing process, but these days he’s just as likely to make a range of other decisions at source. “I’m becoming increasingly aggressive with how I use the outboard,” he says. “Over the past 10 years, I’ve been using the mentality of just trying to capture everything accurately and neutrally, then once it’s in the box I can make it sound like anything I want to with the plug–ins. And that’s an entirely sensible thing to do. However, as I’ve become more confident as a producer, I already know what I want it to sound like. I’ve got a vision and I’m aiming for it and it’s going to sound better if it’s done in outboard rather than with the plug–in, so I may as well do it on the way in. According to Ritson, the particular aesthetics of deep house have some definite benefits when it comes to mixing vocals. “The deep–house sound shares more with the minimal-house aesthetic, where you can make a track work with kick, snare, hi–hat, one bass sound and one effect or lead sound. So there’s loads of space to put the vocal in,” he says. “It was quite problematic in the mid–2000s because people were sampling entire disco records, entire ’80s pop records, and the sample had all the frequencies filled already. Then you would add your own kick drum, bass line, and effects on top of that. So you had a track that was already busy, then you added more stuff, then it probably had multi–band compression added so it was even more full. Then it would go round the clubs as a dub and people would say, ‘Let’s put a vocal on top of it’. There was just literally no space to put a vocal, because every frequency was already filled up. 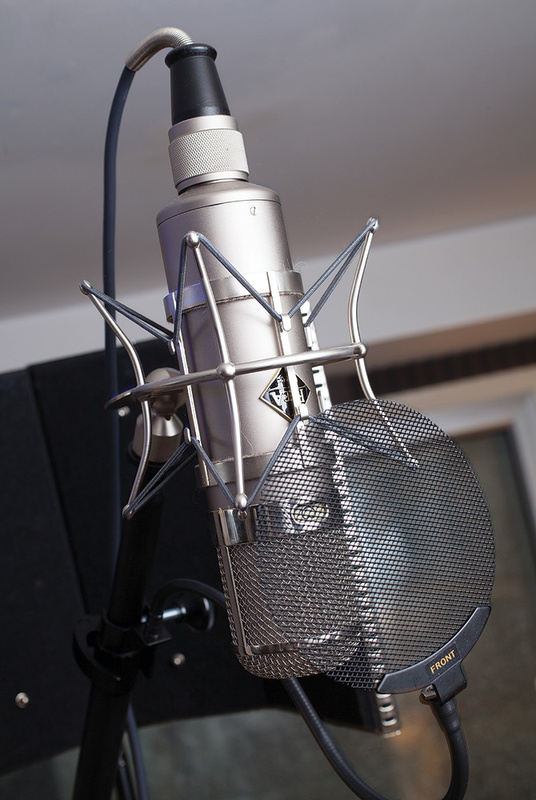 Of course, having a really great singer to record in the first place is hugely important. While this might once have been a given, Ritson suggests that’s no longer the case. “We’ve got a pop vocal sound at the moment, where you don’t really have to be a great singer to create it,” he says. “Far be it from me to criticise the contestants on the likes of the X Factor. Pop music has always had some people who are in the industry because of their personality, their looks, other things than their pure singing. But with all the tuning and other editing options available these days, the bar is much lower for how much experience and skill you need compared to how competent the end result will be. “That doesn’t go for deep house, because you have to hear soul and emotion. It’s about the bends, the vibrato. This isn’t Auto–Tuned music, generally. These are singers who know how to move through the blue notes, how to hit something slightly out of tune and bring it into tune. The starting point has to be someone who sang gospel in church, has been singing in a soul–funk jam session every week for 10 years. That’s the old–school level. “With my vocal sessions, I try to never let them go on for more than two hours, maybe not more than one. I don’t really work with singers who can’t sing. So if the song lasts three minutes, how long should it take to record the vocals, unless you’re doing a lot of stacked backing vocals? If you get up to take 80, all the spontaneity is gone. I’m a big fan of first takes. “With some musicians, you have to put them in their comfort zone. Others are boring in their comfort zone and you have to put them outside of it. I do a lot of work with [guitar player] Guthrie Govan and he is so incredibly brilliant at everything that my favourite thing to do is to get him as far out of his comfort zone as I can by, for example, making him play on a track in a genre he never usually plays in, without playing it to him first or telling him the key before I press record. Because with him, he’s good enough that he can get his head around it and you get an excitement and freshness in him responding to that surprise. With a different musician, a totally different approach would be right. ‘Ocean Drive’: “We were trying to recreate an ’80s LA kind of soundscape. I wanted a very stacked, tracked sound, where the lead vocal is actually seven of them on top of each other and then the harmonies are each stacked 20 times, so there’s about 50 vocal tracks in there. If you’re stacking up the same voice on the same mic on the same preamp over and over again, it starts to get kind of nasty. The high frequencies start to build up and you’re going to have phase issues. So the challenge is, how many voices can I get on there while making sure they all sit in slightly different places? “The core vocal performance is by Boy Matthews. He also wrote the top line and he gives a really good performance. The lead vocal is recorded on the SSL E–series channel, which gives it a crisp, present kind of sound, but then the tracked vocals are recorded on the Avalon, which just puts them in a slightly different place. Also, some of the backing vocals are actually from his original home demo, which I’ve then done a bit of processing on. So even though there’s lots of him, all the different versions of him are sitting in slightly different places in the mix. “What’s interesting is that there are two other vocalists on the track, one male and one female, but the feel is very much of one performance by one person. Daniel Pearce did the male backing vocals and he’s a very good mimic. He’s copying the accent and timbre of Boy Matthews voice, but again his voice is sitting in a different place in the mix, which means we can make it sound a lot more lush without making it obvious that there’s another person. Then Chenai Zinyuku is singing the higher part, doubling up Boy Matthews’ falsetto through the chorus. So you’ve got non–falsetto female tones in the same place, but she’s still copying his phrasing and performance. ‘Robert Talking’: “This is different again, as it’s a dialogue–based track. Spoken word house music has a long history, and deep house is very focused on the past. Robert Owens was there at the very birth of house music. He was there at the first parties and made some of the very first records. This track is him describing in his own words how the music was born. In production terms, it was a question of getting the maximum character out of the voice the 1kHz presence, the throaty high end, the subby chest sound. You can use the Aphex Aural Exciter to bring out the husk in the throat sound, then something like Waves RBass or Voice Of God from Little Labs to get the low chest sound out. ‘Won’t Look Back’: “A classic house vocal approach. Duke Dumont wanted the vibe you get from finding an old Jocelyn Brown or Loleatta Holloway a capella on a piece of crunched up vinyl and samplng it. So it’s a big diva sound, a really powerful gospel–driven performance, recorded in a heritage way and having been destroyed by several layers of going on tape, going onto vinyl, into a sampler, back onto vinyl and into YouTube along the way, to the point where the corruption of it is part of the character. On the Duke Dumont track ‘Ocean Drive’, Ritson used a variety of techniques to avoid phase and frequency problems when stacking multiple takes and parts by the same vocalist. He has more advice to offer on stacking vocals and using a single vocalist to fill both lead and backing roles. “Experienced singers will do a lot in the way they vary their performance. The lead singer is telling the story. The backing singers are the texture supporting that. So the dynamics will probably be smaller in the backing vocal — the performance will be more even, with somehow less personality in it. You’ve got to track the pitch and phrasing the same way, but the ‘esses’ and ‘tees’ are going to be quieter. “In the processing, I will probably de–ess the backing vocals very aggressively, so you don’t get a long ‘ssss’ when everyone is hitting an ’s’. Vowel sounds are fine — you want to have a stack of multiple tones coming through because it has the same effect as a string section. One violin sounds thin, many violins slightly out of tune with one another sound fat. But lots of ‘cees’ or ‘tees’ at the same time really doesn’t bring anything to the party! So you can use Transient Designer or tape emulation and de–essing to remove those cluttering elements from the backing vocals. 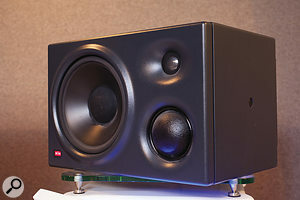 Ritson’s Klein + Hummel O300 monitors.“All I would say to aspiring producers is, there are so many things you can spend your money on, but the ones that you really want to spend your money on are a good microphone, a good preamp and good monitors,” Ritson says. “You’ve got to capture things sounding good on the way in, and you’ve got to be able to hear what you’re doing. The plug–in bit in the middle? To be honest you can usually do everything with what comes free with your DAW. And the preamp is as important as the microphone — I know people always say that but it couldn’t be more true.